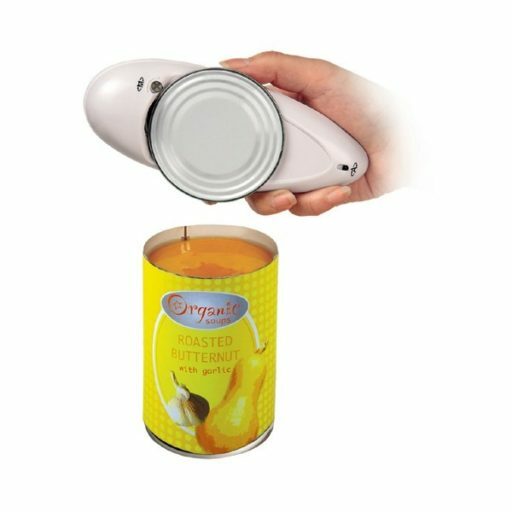 One Touch Automatic Can Opener makes it easy to open all the standard-sized round cans with no twisting, pulling or struggling. The device is safe and comfortable to use as it switches off automatically, makes it easy to take the lid off after opening and leaves no sharp edges on the lid. It is perfect for seniors or anyone with weak hands. 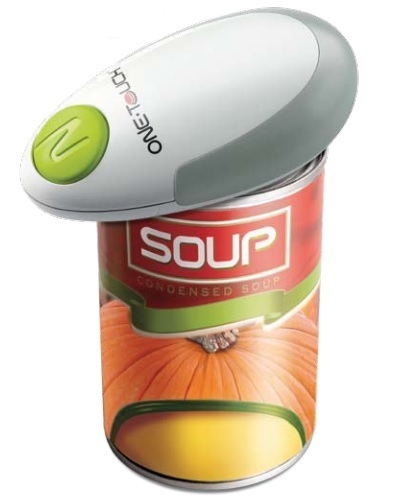 The can opener runs on AA-sized alkaline or rechargeable batteries (not included).